This Thursday is Thanksgiving here in the U.S., which means Friday, November 23rd is officially Black Friday. The start of the holiday shopping season is like heaven to a gear lover, as TVs, appliances, stereo systems, and—best of all—smart home devices are placed on sale. But if the thought of risking your health and sanity to take advantage of in-store deals sends shivers down your spine, don’t worry, we’ve got good news. Many of the best deals on smart home gear are taking place only online—and they’re happening right now. So sit right where you are, grab another holiday cookie, and start taking advantage of these amazing early Black Friday sales all week. For smart home fans that love the freedom of being able to control their smart home using Alexa, Amazon has great deals on all those new Echo devices you’ve been eyeing all year. Just don’t forget to enable the Yonomi Alexa skill first! The Echo Dot brings Amazon Alexa to any room in the house so you can get music, news, weather, sports scores, and control all of your Yonomi Routines instantly. All you have to do is ask. Add three Echo Dots to your cart and these savings will appear at checkout. The Echo Spot acts as the perfect alarm clock—displaying key information, playing music, and letting you control all of your smart home Routines using your voice and the Yonomi Alexa Skill. Add two Echo Spots to your cart and these savings will appear at checkout. The Echo Show brings all the power of Alexa along with a 10.1” display and webcam to make it the perfect smart home hub for your kitchen or living room. Add two Echo Shows to your cart and these savings will appear at checkout. If you prefer to control your Yonomi smart home Routines using the Google Assistant, there are plenty of exciting deals for you this week, too! Just make sure you have the Yonomi app for Google Assistant activated to get the most out of your Google Home devices! 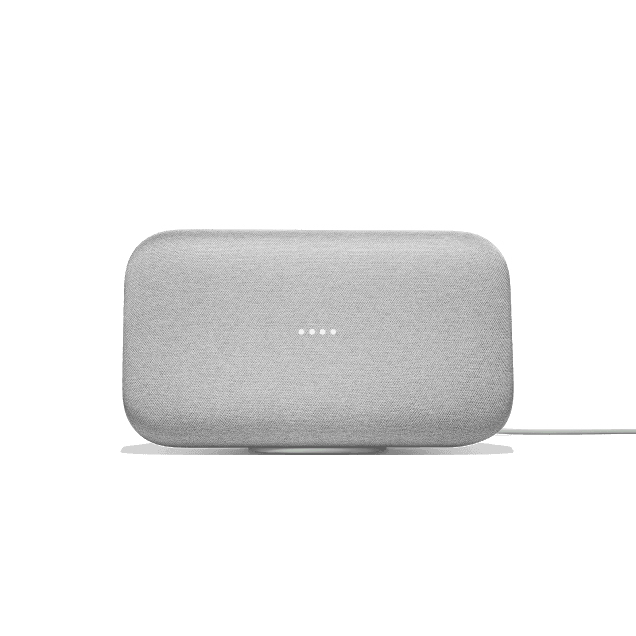 Place the stylish Google Home Mini anywhere in your home to bring the power of the Google Assistant in every room. And now the mini comes in four colors—Chalk, Charcoal, Coral, and Aqua! The all-new Google Home Hub add a 7” display to the same Google Home experience you love. Now you can watch video recipes, view your calendar, and keep an eye on the front door all while controlling your entire house using your voice and the Yonomi app for Google Assistant. Google Home Max is a smart home speaker for music lovers that care about high fidelity sound. Use the power of the Google Assistant to control your smart home devices, play music, provide information, news, sports scores, weather, and more. We'll keep adding our the best smart home sales as they're announced, so bookmark this link and check back soon for more great holiday deals!